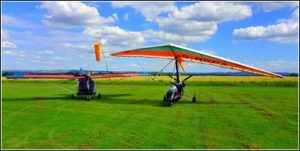 Great Western Airsports is a professionally run microlight flying school located 6 miles south of Bath on the Somerset/Wiltshire border with our instructor having trained more students to attain their PPL than any other in the U.K. over the past 5 years – we are results driven. All flying is conducted on the Cyclone AX2000 3-axis(fixed wing) and the Pegasus Quantum 15-912 weightshift(flexwing) microlight aircraft. These are both proven and reliable 4-stroke powered aircraft which are extremely forgiving & docile allowing students to achieve consistency much quicker than with newer more modern types. Training towards the U.K. NPPL starts at £95.00 per hour. Air experience flights are available 7 days a week weather permitting. A gift voucher makes the perfect gift with vouchers being valid for 10 months from date of issue. You can order securely online using the link at the top of this webpage. All Gift Vouchers are posted out same day 1st class if your order is received before 3pm. 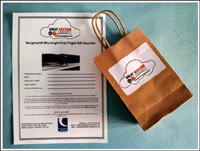 Flight gift vouchers start from just £48.00.